F&L Limo & Livery, LLP, is a professional transportation company located inside the Tri-Cities Regional Airport. Offering courteous service for over 10 years regionally, we are always adding new vehicles and services to our operations. If you have any questions about ANY type of ride, please do not hesitate to call or email us! The chances are very good that we can accommodate you or at the very least point you in the right direction with one of our associates in the industry! 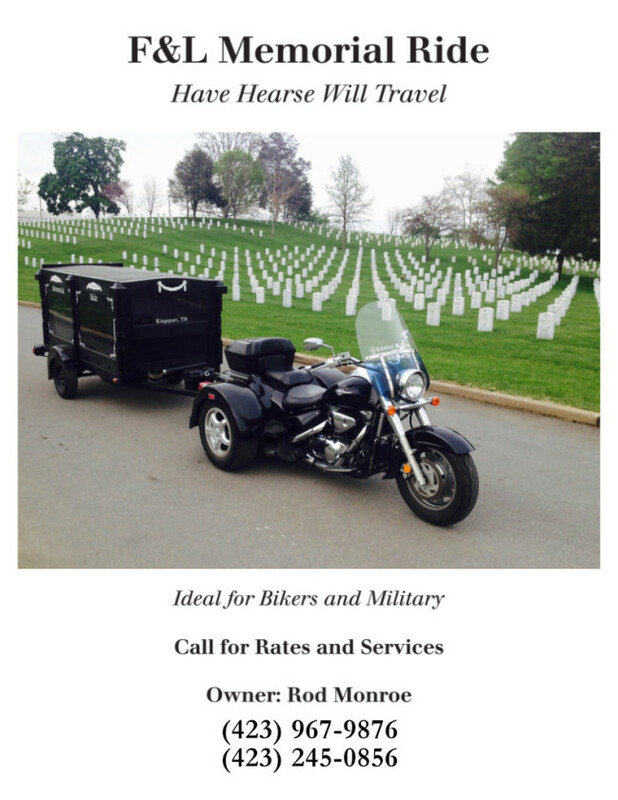 Our Basic Services include the use of the coach and driver for transportation from the funeral home or church to the place of interment, up to 25 loaded miles. After the first 25 miles, additional charges may apply. To adjust for travel, a hauling fee from Kingsport, Tennessee to the starting point will be added. When the place of final disposition is outside of a 20 mile radius of the starting point, a hauling fee will apply to trailer the coach back to the starting point. Any trips requiring an overnight stay will have an additional charges added – $150/night.